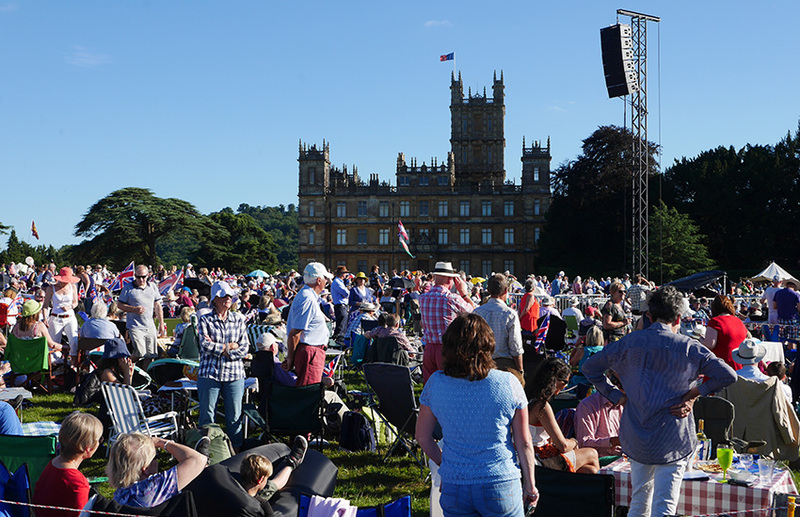 The first Saturday of August each year, we hold an open air picnic concert here at Highclere. It is called the “Battle Proms” and is very well organised by Adam Slough and his team. Nearly 10,000 people arrived during the afternoon, setting up their tables and laying out rugs. The evening begins with cavalry displays, which are always entertaining. I really enjoy the evening and have a large picnic which is wholly informal and relaxed. It does not matter whether you are 5 years old or 90, it is fun for everyone. About 7.30pm, however, we are all listening for the sound of the engine of the WWII fighter, the Spitfire. Scanning the skies it suddenly approaches, sweeping over the Castle towards the display line. It was built in 1944 but is now called the Grace Spitfire because it is flown by a remarkable woman called Carolyn Grace. She flies a carefully choreographed display, whilst the orchestra plays Elgar’s “Pomp and Circumstance March” and “Nimrod”. Somehow the music and plane make everyone’s heart well up. Too soon, it flies off, a disappearing dot into distant clouds and 10,000 people sigh together. Our own 1936 Rolls Royce sitting in the garage here, has a V12 engine which was the precursor of the Merlin 12-cylinder Rolls-Royce engine in the Spitfire flying above the Castle today. The Spitfires flew above Highclere in the Second World War. The concert continues with Tchaikovsky’s 1812 overture played with 200 replica Napoleonic cannon providing an accompanying percussion. The programme continues as everyone settles down to Pimms or Rosé, whilst there are swings and a carousel for children. 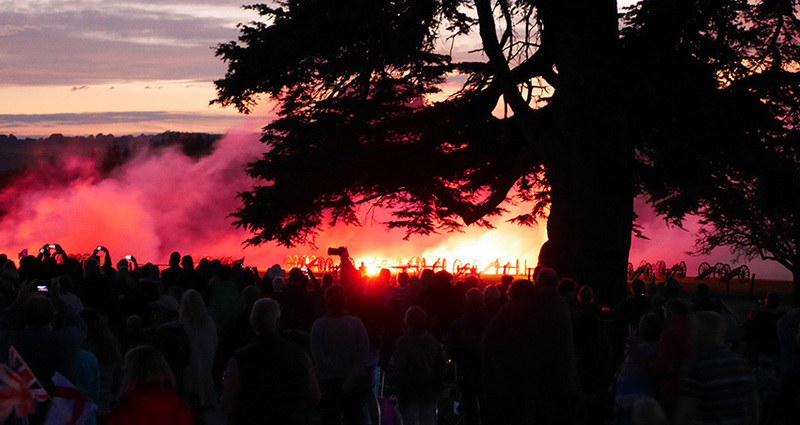 Then the concert moves towards the finale of everyone singing Land of Hope and Glory with amazing fireworks against a dark sky. Given it is the Queen’s 90th birthday this year, we ended with a rousing God Save the Queen. The Castle is floodlit to one side and it is time to find warmer clothes as it becomes rather cool. During the evening, soldiers collect for Combat Stress which is the UK’s leading mental health charity for Veterans. It was founded at the end of the First World War and we support them at Highclere as does every Battle Proms concert. How do ex-servicemen and women live and deal with what they have seen and suffered? Curiously, I was reading about early medieval warfare and how monks here tried to help embattled knights regain some mental stability through gardening. We have created a healing herb garden, near the castle, with short descriptions of how such herbs can be used in infusions or cooking. The herbs are very simple to grow and one of my next books about the adventures of Finse, the Labrador from Dogton Abbey, is going to be about gardening and growing herbs. Bless you for holding this wonderful gathering in honor and remembrance. It gives me chills just to read about the evening. Vintage cars, planes, beautiful music and foods all followed by fireworks…what could be better tribute! Kind regards from Texas. Lady Carnavon, I loved reading about this magnificent event. What a lovely thing to host on Castle grounds. Of course, we Americans love our fireworks, too, (albeit usually lighting them as we celebrate our independence from England . . . sigh), but there are so lovely. We go to our cabin on July 4th and the whole community sits by the lake watching fireworks flood the night sky in synchronization with symphonic music. We too hear Tchaikovsky’s 1812 overture, complete with booming cannon. Your concern over patriots and veterans is so touching. I used to work as executive director for the world’s largest USO in St. Louis, Missouri, and we provided a home away from home for American’s military and their families as they traveled to parts unknown in service and defense of their country. Many of our volunteers were veterans who understood their difficulties. Our debt to our military is incalculable, and I know you feel the same. Here’s to the Queen. She is one remarkably elegant and honorable lady. I can’t believe she is ninety-one. Amazing! Well said! I hope to visit Highclere soon. You will have to time a visit here to coincide!!! It is truly a team effort and Adam Slough and his family (of the Battle Proms side)are great Combat Stress supporters. We have built this event up over 14 years and I am delighted! I agree totally we owe and – will always owe -the armed services past and present a debt. How wonderful that event must have been! Even though we I am American, I have a great respect and admiration for the citizens of the UK who lived through WWII. I’m sure I would have been one of those who had tears in their eyes following such a patriotic display. If we ever make it back to Highclere, I must make sure it’s during the first week of August! Do – or the Vintage Garden Party weekend in September which I hope to make an annual event too.. Thank you for sharing this experience, Lady Carnarvon. Your blog post was so very well written that I truly felt as though I was there. I can’t help, though, to wonder what the lawn might look like after the concert, when everyone has packed up their belongings and gone home. It makes me nervous to imagine. Thanks for hosting such a great event, and sharing it with the world through your blog. The weather was kind to us so it helps with car parking and clearing up.. but you are right that is the less exciting part of events!!! How wonderful that Highclere remains a host to so many wonderful events! Here in Boston, where I live, July 4th is always completed by a concert on the river ending with the 1812 overture, military cannons going off, and fireworks overhead. Such a spectacle! I thought we were unique in having that combination, but it is nice to read that you folks bring this sort of event to your beautiful estate on a regular basis. I am coming to your costumed garden party in early September, and am ‘over-the-moon’ with anticipation of seeing your magnificent home and grounds. Thank you for all you do to share your good fortune with the rest of the world. I am looking forward to September too… I am contemplating hats for myself!! What an amazing day. And what interesting information and photos. Great seeing the photo of the Spitfire and thank you for sharing the splendid photos of your beautiful car and that amazing engine. Great photos of your “visitors” too. It must have been quite a day. 10,000 voices booming out “God save the Queen” would have been something special, as would have been hearty renditions of “Pomp and Circumstance” and “Nimrod”. I assume “Jerusalem” may well have found its way in there too! And how wonderful to hear the 1812 Overture played the way Tchaikovsky intended – being accompanied by real canon fire. 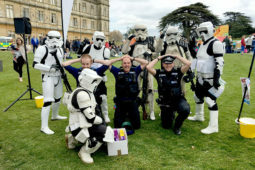 What I think also deserves commendation is that, in addition to obviously being great fun, a very worthy Charity has benefited from such a wonderful day. Must get there one year, if I am a lucky enough to do so. Well done. Jerusalem was there – your are quite right and we all know the words better that some of the others..
You would enjoy it I hope..
Well said. Your detailed descriptions put me in the middle of the festivities and I enjoyed them along with all of you.I could feel their sense of pride as the Grace Spitfire flew over and gave her performance. England has much to be proud of and thankful for. Thank you for sharing this with me. I can’t imagine 10,000 people on the lawn – what great support for the veterans and the cause! Thank you so much for your new blog..I had the honor of attending the Battle Proms in 2014 as the grand prize winner of the PBS sweepstakes . I am originally from England now living in America..what a wonderful evening it was, reuniting with old friends and family . Your description of the Proms put me back to that night, the Spitfire fly over gave me goosebumps, the music, singing the old songs was very emotional for me. The healing herb garden sounds amazing. We can never thank the brave men and women who fought in WW1 enough. I am giving some more explanation for the herbs and maybe that would be good to share in part here. Another wonderful event at Highclere! Thank you for supporting the Veterans. One day I will be able to come and see your wonderful home! The registration was the phone number and I found last week an old book full of phone numbers from that time, I was trying to work out who they all were!!! Lady Carnarvon — off subject, but I visited Highclere two days ago with a friend who dressed up in a white lace dress, complete with “fascinator” hat, for the afternoon tea. Your home is lovely and I had the time of my life. Thank you so much for making the opportunity for us to visit. Thank you for coming – the tea is delicious … and all the photos are fun on the walls aren’t they? How similar we are in our memorials and celebrations. 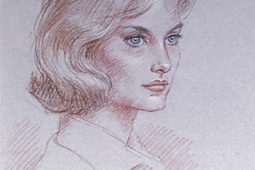 I love the history that is preserved at Highclere through your writings and recollections. Thank you for allowing us to participate via your blog. Love the pics. The Rolls is magnificent. My husband gave me a wonderful present last year for my birthday. It was both of your books, Almina and Catherine and the Highclere Castle Calendar for 2015. I thoroughly enjoyed reading both books which you signed and will be treasured forever. And I loved looking at each month’s choice for the calendar. 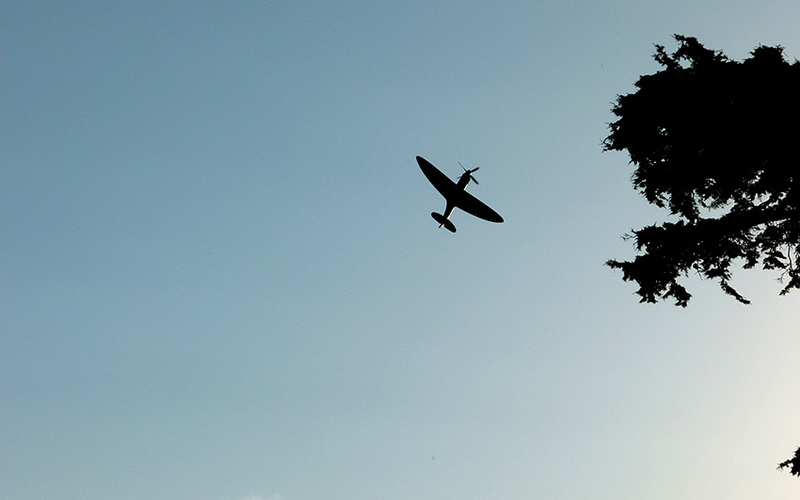 I’ve kept the calendar in a spot where I can see it daily and love seeing the Spitfire against the background of blue sky with a small British flag held high by one single arm. Thank you for supporting so many necessary charities. Well done! I hope you will like my next book – I am reworking a chapter now – except I am relying to you!!! 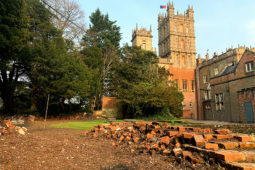 While I am sure that there are many treasures at Highclere, I think that the greatest treasure is the ongoing heart of charity that it represents (and sponsors). In Charles Dickens classis, The Christmas Carol, Scrooge was trying to placate the Ghost. “Business! cried the Ghost, wringing its hands again. Mankind was my business: chairty, mercy, forbearance and benevolence were all my business. The fruits of my trade were but a drop of water in the comprehensive ocean of my business”. This Ghost must have lived in Highclere somewhere in it’s history. Thank you for all that you do in behalf of others. I love, LOVE reading this blog! I had the pleasure of visiting Highclere in July 2014, and in fact, purchased tickets before I had a flight from the U.S. Priorities, obviously! I cannot wait to return next summer with my sister. Now if only I can time a visit with one of these fantastic events- THAT would be an even greater treat! Thank you, Lady Carnarvon, for your continued updates! Best wishes from Massachusetts! Hello from Nfld, Canada again Lady Canarvon. Congratulations on another wonderful blog post and congratulations on another successful night of The Proms. Whilst I could not attend this event, my Husband and I did have the good fortune to tour your beautiful home and enjoy afternoon tea on Tuesday 9th August. – I think Hubby even caught a glimpse of His Lordship! I was thrilled to bits with every minute of our tour especially the fascinating Egyptian exhibit. Thank you again for sharing the treasure that is Highclere with the world! Though I’ve never suffered from PTSD, my life (like everyone else’s), has its stresses. I’ve long been drawn to gardening, to the point where I call it “dirt therapy”. Perhaps some sufferers closer to Highclere would benefit from a more direct (and formalized) contact with your healing garden.